A study, funded by the Movember Foundation and conducted by scientists at The Institute of Cancer Research (ICR) in London, has revealed several genetic mutations that may trigger the development of testicular cancer, in addition to uncovering a gene that may aid tumors in promoting resistance to existing drug therapies. According to the authors, this is the first study of its kind to use whole-exome sequencing to probe testicular germ cell tumors, which constitute the majority of testicular cancer cases. “This study has used the latest DNA sequencing technologies to provide a window into the development of testicular cancer, and reveals some potentially important clues as to how the disease could be treated more effectively,” stated Paul Workman, Ph.D., chief executive of ICR. The investigators, whose research was published today in Nature Communications in an article entitled, “Whole-exome sequencing reveals the mutational spectrum of testicular germ cell tumours,” examined tumor samples from 42 patients with testicular cancer. They report previously unidentified chromosome duplications and confirmed data from earlier findings that associated these tumors with the KIT gene, which has been linked to an array of other cancerous tissues. “Our study is the largest comprehensive sequencing study of testicular tumors published to date, describing their mutational profile in greater detail than has been possible using previous technologies,” says Clare Turnbull, Ph.D., senior author and team leader in predisposition and translational genetics at ICR. 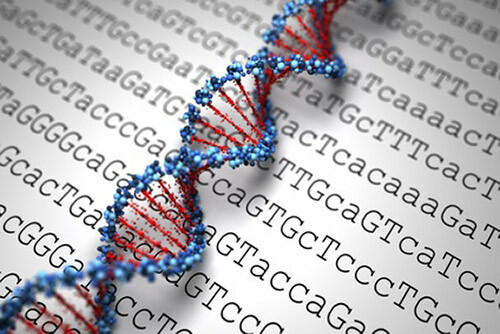 Interestingly, Dr. Turnbull and her team also found defective copies of the DNA repair gene XRCC2 in a patient who had become resistant to platinum-based chemotherapy. Their preliminary finding of a link between XRCC2 and platinum drug resistance was validated once they sequenced a sample from an additional platinum-resistant tumor. Despite the fact that testicular cancer responds well to chemotherapy, about 3% of patients develop resistance to platinum-based drugs, which consequently is associated with a diminished long-term survival rate. This study provides essential general knowledge concerning testicular germ line cell tumor development, but more importantly, valuable insight into the genetic underpinnings as to why certain patients develop resistance to chemotherapy.